The facial masks used for Padayani (Padeni) represent another form of folk painting. 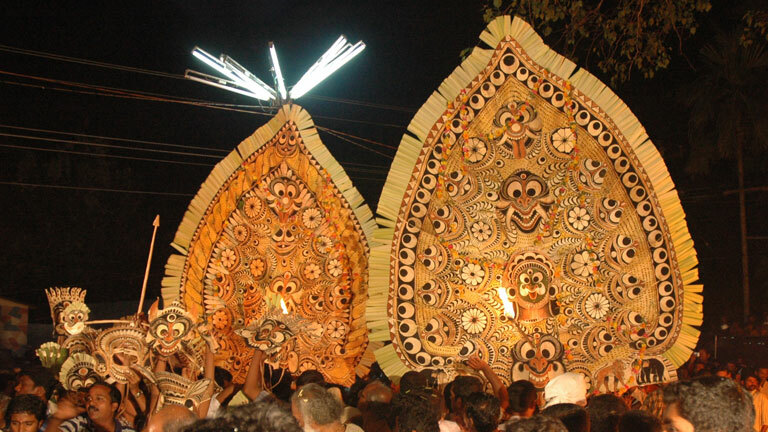 These masks are made by painting the spathe of the arecanut tree using different coloured powders. Folk painting styles are evident also in the dolls made for Tholppavakoothu.